Old Rough Western Cowboy With Gray Beard And Brown Hat Holding.. Stock Photo, Picture And Royalty Free Image. Image 32954771. 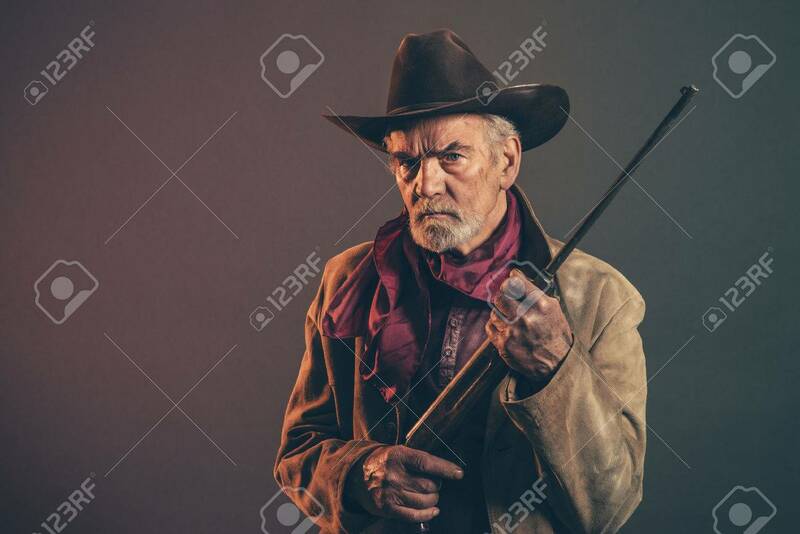 Stock Photo - Old rough western cowboy with gray beard and brown hat holding rifle. Low key studio shot. Old rough western cowboy with gray beard and brown hat holding rifle. Low key studio shot.